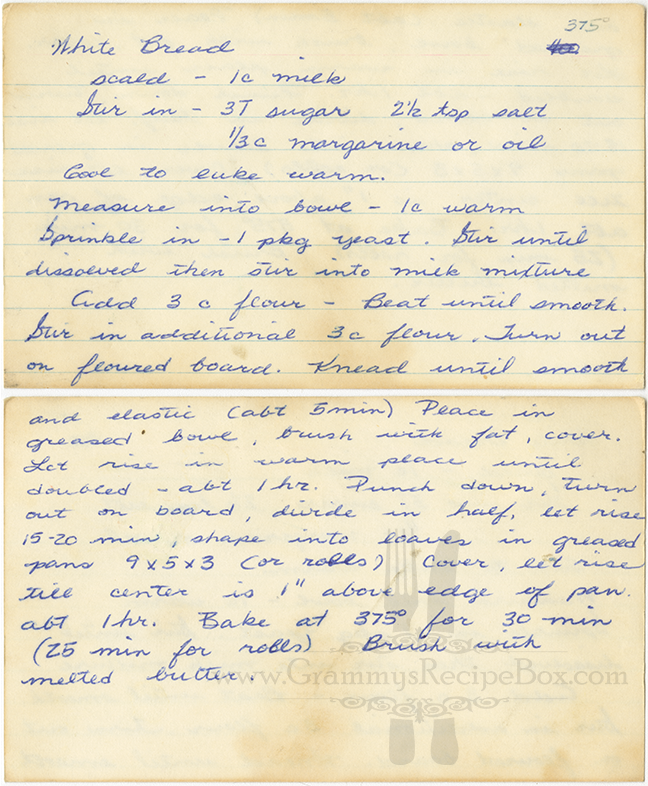 This recipe is written in ballpoint pen in my mom's handwriting (my Grammy's daughter, Sue). 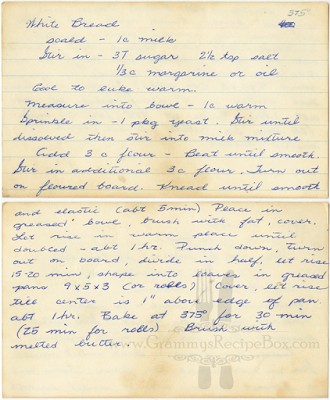 I remember this recipe growing up. I loved the smell of the hot bread as it came out of the oven. My mom would let me have a hot slice with butter on it and the flavor was heavenly.